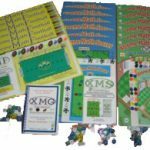 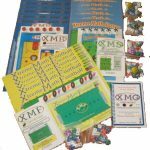 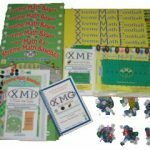 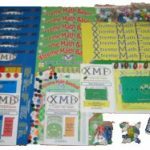 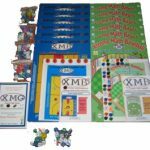 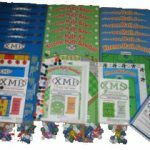 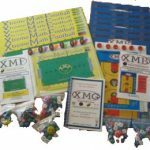 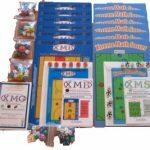 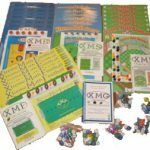 Contains: XMGames Playbook©, 1 each XMF, XMS, XMB, XMB2 Game Instructions©, 1 each XMF, XMS, XMB, XMB2 Full Color Overhead®, 1 each Laminated XMF, XMS, XMB, XMB2 Gameboard® and player pieces for games. 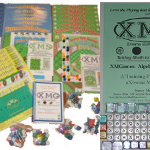 XMG Black Line Recording Sheet, and a Single Dice Bag with 90 dice: 6 regular die; 6 30-sided die; 6 1-20 die; 6 Two-Function die; 6 Four-Function die; 24 (0-9) dice; 12 (00-90) dice; 12 (1-12) dice; 12 fraction dice. 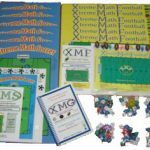 Algebra Supplement Instructions outlining many more ways to play the game such as: Multiplying Binomials, Trinomials, Absolute Value, % Increase, Pythagorean Theorem, Linear Equations and more. 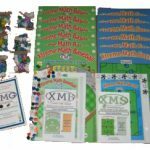 6 XMG Algebra Dice Bags: 12 Integer dice, 6 exponent dice, 6 double dice, 6 three-in-a-cube dice, and 6 Solve-for-x dice included.